When it comes to how we approach work—and life—you believe people belong to one of two camps. What are they? In both work and life, there are two basic types of motivation. Some people look at their goals with what we call a ‘promotion focus’, meaning that when they think about doing well on a particular project, they’re thinking about what they can gain from being successful—how they will end up better off, make progress and advance. The second type of motivation is a ‘prevention focus’. When these people think about doing well on something, they’re thinking about what they can avoid losing if they’re successful. They might think about how success on a particular project will make their job more secure, for instance. With a prevention focus, it’s really about hanging on to what you’ve got and avoiding loss. Which type of focus makes for a better employee? It’s not that one way of being motivated is better than the other; they’re just different, and they result in different strengths and weaknesses. In general, promotion-focused people are optimistic. They respond very well to being praised and encouraged, and they work best when they feel confident that they’re able to succeed. Prevention-focused employees are actually very uncomfortable with too much optimism: it makes them feel like they aren’t sufficiently ‘on guard’, and that they won’t be vigilant in the way they need to be to reach their goals. We think of them as ‘defensive pessimists’. It’s not that they think they’re going to fail, but they always think they might fail if they don’t take all the required steps. These people are uncomfortable with too much praise and encouragement. You never want to say to them, ‘Don’t worry; everything’s going to turn out great!’ They hate that; it feels very wrong to them, and it’s actually demotivating. In their minds, they need to stay focused on what could go wrong in order to give their best performance. You have said that it’s not a black-and-white distinction: everyone, to some extent, is both promotion and prevention focused. Please explain. You can actually have a different dominant motivation in different areas of your life: you might be very prevention-focused at work, but promotion-focused in your personal life. But we find that people do tend to have a dominant motivation—a particular lens through which they look at the world, and that means that they have different strengths and weaknesses. Different strategies work well for each type. For example, when you have a promotion focus, you tend to be more comfortable with risk, more creative and more innovative. These people are very good at detecting and seizing opportunities, because they tend to say ‘Yes’ to things. The worst case scenario for the promotion-focused is when an opportunity passes them by—when there is a chance they didn’t take that could have paid off in a big way. Prevention-focused people, on the other hand, have very different strengths. They tend to be more conservative; they’re more interested in being accurate and thorough; they’re very careful planners, very reliable, and they’re excellent at ‘maintenance’ tasks. If you have a sales team, the promotion-focused people will be the ones who are best at tracking down new leads; but the prevention-focused people will be those who spend lots of time on maintaining relationships with existing customers and making sure those people are taken care of. You have said that if we want to start exercising more, quit smoking or lose weight, we have to employ both the promotion and prevention focus at once. How is this achieved? As indicated, everyone is focused each way at some point in their life; even if you’re more promotion-focused, you know what it’s like to be prevention-focused. Any time you’re standing in line for a flu shot, that’s your prevention focus in action—it’s about hanging on to what you already have (i.e. your good health.) Similarly, prevention-focused people know what it’s like to be promotion-focused. If you ever go out just to have an adventure, that’s a promotion-focused thing to do. So everybody does both. As a result, we can switch back and forth, and we do. You can learn to control this and actively put on your ‘promotion hat’ or your ‘prevention hat’, depending on the task you’re working on. And some activities require both, like running a business: you have to be creative and think about how to advance, but you also have to make sure that you’re maintaining what works by practicing due diligence and that you have a Plan B ready, if something goes wrong. So, everybody needs both of these things. Weight loss is another example. The research shows that when you are promotion-focused, you’re better at reaching your goal weight. That comes from having enthusiasm, like, “Yes, I can! I can do anything!” Of course, once you reach that goal weight, you actually need a different set of skills in order to stay there. That’s when it’s less about being enthusiastic and really going for it: it becomes more about being careful not to lose the gains you’ve already made. You have to be really careful about what you eat. At this stage, we find that prevention-focused people are actually better at keeping off weight, and they’re also better at not smoking. Promotion-focused people are able to quit smoking more quickly, but prevention-focused people are better at quitting permanently. What all of this means is that we need to be putting on different hats at different phases in an endeavour. At the beginning, you want to be thinking in terms of what you will gain—all the wonderful things that will happen when you reach your goal. Then, once you’re promotion-focused, you need to really think about what would happen if you slipped—all of the wonderful benefits that you’re now experiencing, and how you would lose those things. That’s what’s going to keep you vigilant and not allow you to drift back into your old ways of eating and not exercising. In terms of creativity and innovation, how do promotion-focused individuals fare compared to prevention-focused people? Generally speaking, a promotion-focus is associated with greater creativity and innovation. But it’s also true that the creative process is a multi-step process. There’s the generation phase, where you’re coming up with really interesting solutions; but then later on, there’s an evaluation phase, when you take a look at the ideas you’ve come up with and ask, ‘Will this work? Is it practical?’ And guess who’s better at that? Prevention-focused people are much better at the evaluation phase. When failure occurs, it is experienced differently by prevention and promotion-focused individuals. How so? It turns out that promotion-focused people, when they don’t gain, advance or make progress, feel dejected and depressed. And when prevention-focused people don’t stay safe, keep things running smoothly, or make mistakes, they feel anxious, tense and worried. This suggests, again, two different ways of coping with those problems, because if someone is depressed and dejected, you want to cheer them up—to tell them that everything’s going to be all right and try to rebuild their confidence. But when somebody is anxious and worried because they feel they’re in danger, the last thing they want to hear is, “Everything’s going to be okay.” What they want is to do some serious thinking about how they got into that situation and how to climb out of it. You can’t make them feel better by patting them on the back and assuring them it will be fine. You have also found that when we listen to people speak, we ‘tune in’ to certain parts of what they are saying, and ‘tune out’ of others; why is this? We tend to be more receptive to the aspects of what someone is talking about that fit with our own motivational focus. Where this becomes really important is in the realm of persuasion and influence, and even in motivating your employees, because you want to match what you are saying to the motivational focus of the person (or people) you're talking to. If you think about it, that’s exactly the same thing: three goals or more, i.e. don’t miss more than twice. But it turns out that one way of talking about it is a promotion-focused way of talking about it, and the other is prevention-focused. ‘Not missing more than two’ is prevention-focused. It turns out when you give the instruction in a way that matches the person’s dominant focus, they are much more effective: the prevention-focused players scored nearly twice as often, all because they were given the instruction that matched their focus. Describe the role of ‘motivational fit’ in marketing messages. We are finding that subtle changes in talking about a product—focusing on the good things you’ll gain from it vs. the bad things you’ll avoid with it—can appeal very differently to people with different focuses. That’s why it’s important to get to know the dominant focus of the group you’re pitching to. For example, young people, on average, tend to be more promotion-focused; older people, on average, tend to be more prevention-focused; and young mothers are very prevention-focused. Armed with this knowledge, you’re much more likely to create a good fit between the way you talk about your product and the target market. Do these findings apply to persuading people in the workplace, too? Definitely. Say, for example, that you are a promotion-focused person: you’ve got lots of great ideas for innovations and all these wonderful things you want to try, but you have a more prevention-focused, conservative boss. By the way, that’s a combination that happens all the time, because the more responsibility a person has, the more it tends bring out their prevention-focus. So, you want to pitch this idea for this great innovation. What do you do? Now consider the same exact pitch, but delivered in this manner: “Here’s a way that I think we should innovate. If we don’t do this, we run the risk of falling behind. Our competitors might get ahead of us and we might lose market share.” This time, you’re pitching not in terms of gain, but in terms of how doing something will avoid a bigger loss down the road. Now you’ve got your prevention-focused boss’s attention, because avoiding a big loss sounds like a great idea to her. 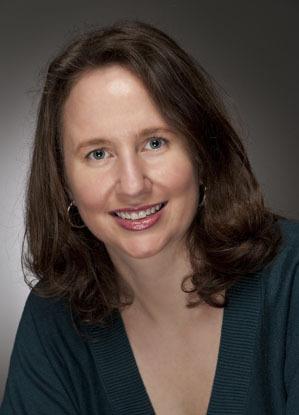 Social psychologist Heidi Grant Halvorson is Associate Director of the Motivation Science Center at the Columbia Business School and the co-author with Tory Higgins of Focus: Use Different Ways of Seeing the World for Success and Influence (Hudson Street Press, 2013). She blogs for Fast Company, WSJ.com, Forbes, The Huffington Post and Psychology Today and is a regular contributor to the BBC World Service's Business Daily and Harvard Business Review. Can Networks Explain Stock Returns?